Romains 10v14: Héros ou héraultes de l’évangile? 7 choses que Dieu désir plus que votre succès! Bensax (born Richardson Estimable) is an accomplished saxophonist. performer. formidable composer. multi-talented musician who has already made an important contribution to the world of Latin American Christian jau. music. He is one of the most well-known Christian saxophonists from Haiti. Often featured on the radio and television there. and performed formally for the Haitian president. He has played internationally in large and small venues, particularly in the Caribbean. Latin and North America. To date. he has composed and released two albums on the saxophone (June 2012 & October 2013). The ﬁrst one. “Let The sax worship the King. » was voted the best instrumental album of Z012 in Haiti in its genre. 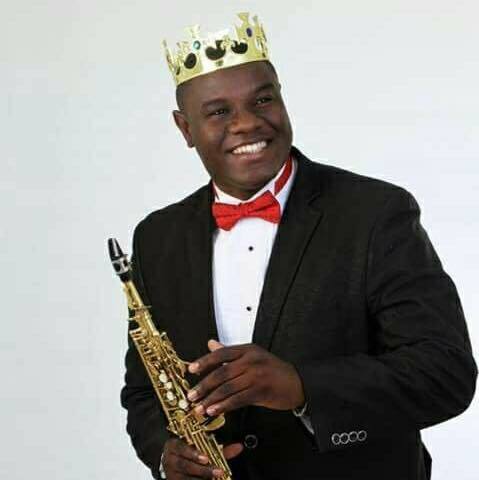 Recently, Bensax has earned prestigious musical recognition in the U.S. At the 2013 Annual International Convention of the Country Gospel Music Association in October 2013. he was celebrated as one of the best instrumentalists of the year. He also performed at the International Federation of Youth Conquerors in West Palm Beach. Florida in November 2013. From an early age music played a prominent role in his life. His parents recognired his musical talents and passion. enrolling him in Formal musical studies at the age of seven. From 1999 to 2004 he studied at the Evangelical Orchestra (Mistpa of St Louis Du Nord Haiti) Brass Band. Although he specializes in the soprano. Saxophone, Bcnsax also plays the trumpet. piano. bass guitar, drum. Clarinet, French horn. trombone. and tuba. At the age I2. liensax was named the most talented trumpet player in the history of the Evangelical Mistpa Orchestra. Subsequently. he continued his studies at the Musical Conservatory at the Christian University (Université Chrétienne du Nord d’Haiti) and then worked for ﬁve years as a full time orchestra leader where he had the opportunity to train. lead and mentor more than ﬁfty young musicians in Haiti. Afterwards. Bensax took his talents abroad to the Bahamas where he worked as a church worship consultant. Trainer and music director. ln 2008. Bensax left these posts and founded BIMM (Bensax lnternational Music Ministry) For the purpose of traveling to different nations to share the good news of the gospel of Jesus Christ through his musical gifts. Bensax has truly utilized his talents to be an ambassador for Christ. His music is spiritually uplifting. soul-edifying and mind-soothing. Bensax remains focused on the source of his musical gifts, their true purpose. and his strong Christian beliefs. He credits God and his strong Christian upbringing. Psalm I50 is one of his favorite biblical passages because it captures the true purpose for his talents and music ministry- to praise and worship God! Garder en memoire nom nom et mon email pour ce reseau pour laisser des commentaires plus vite la prochaine fois. Nous venons de vous envoyez un email pour confirmer votre inscription. Que Dieu vous bénisse! Notre mission, depuis 2009, promouvoir l’art évangélique sur la toile. Contribuer á la visibilité des artistes évangéliques. Jubau.com a été changé pour bGospel.com depuis le 28 Janvier 2018. Notre slogan: Be the Gospel, i.e. Sois l'évangile que tu chantes, que tu prêches, que tu représentes, que tu défends. Notre service de promotion est totalement gratuit.